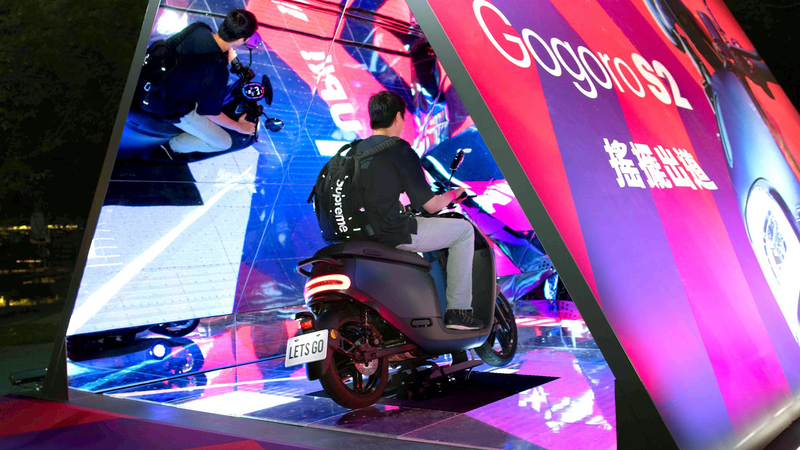 Gogoro launched their smart scooters Gogoro S2 and Gogoro 2 Delight in 2018. 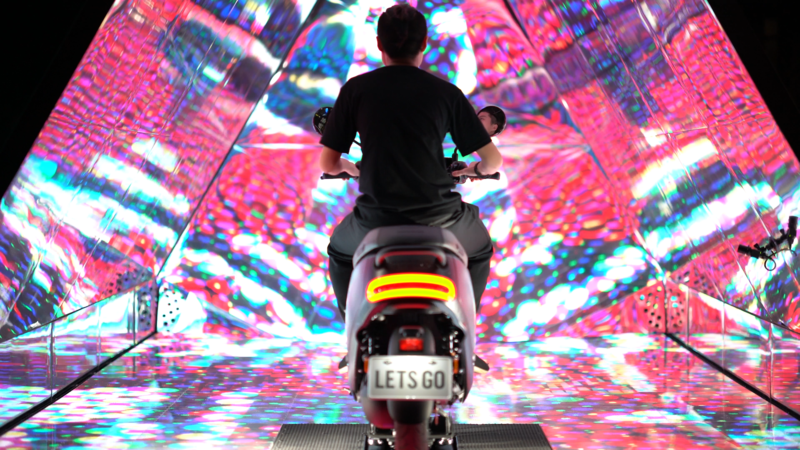 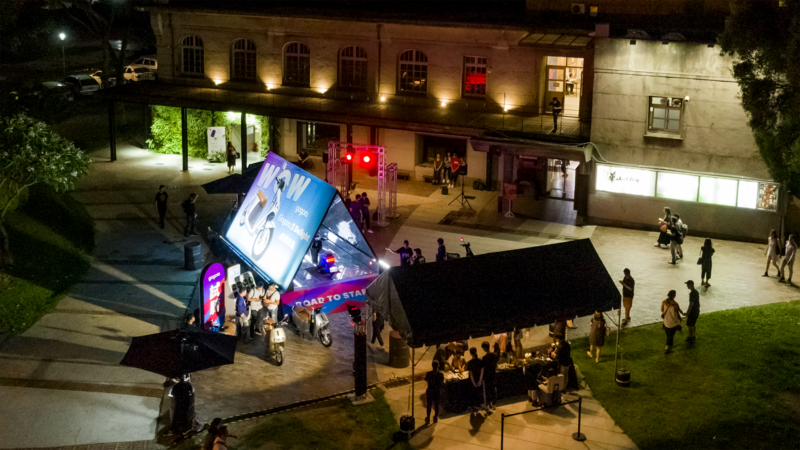 In order to communicate these two different products to young consumers, we created “Gogoro Road to Stardom” — a 3.5m tall kaleidoscope tunnel where people can ride Gogoro S2/Gogoro 2 Delight and create their own music videos. 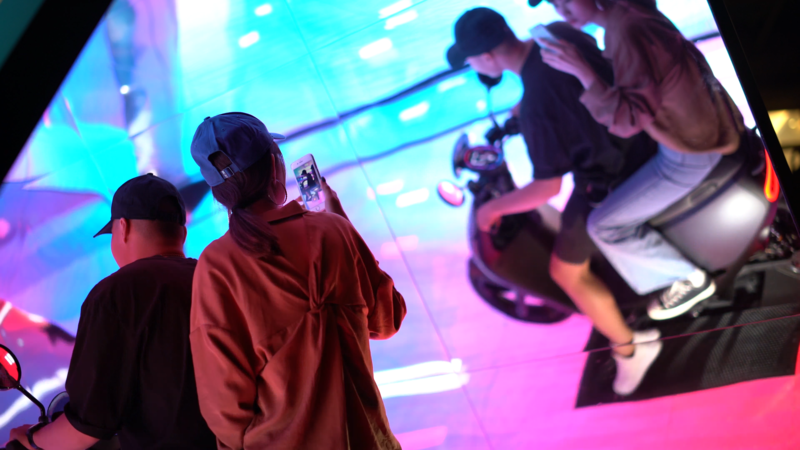 In the tunnel, we installed the scooter on a huge LED floor and set up mirror walls on two sides to build up an immersive environment. 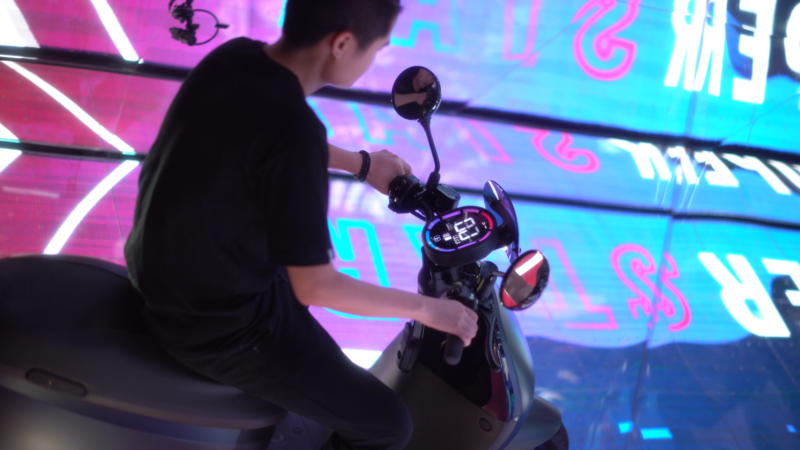 We also embedded the sensors into the scooter handle and buttons. 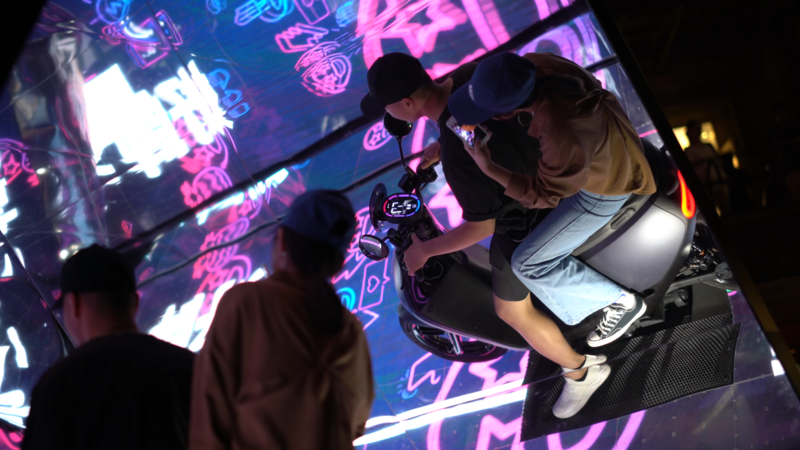 When people ride the scooter and press different buttons, it generates interactive visual and sound effects on top of the default animation and background music. 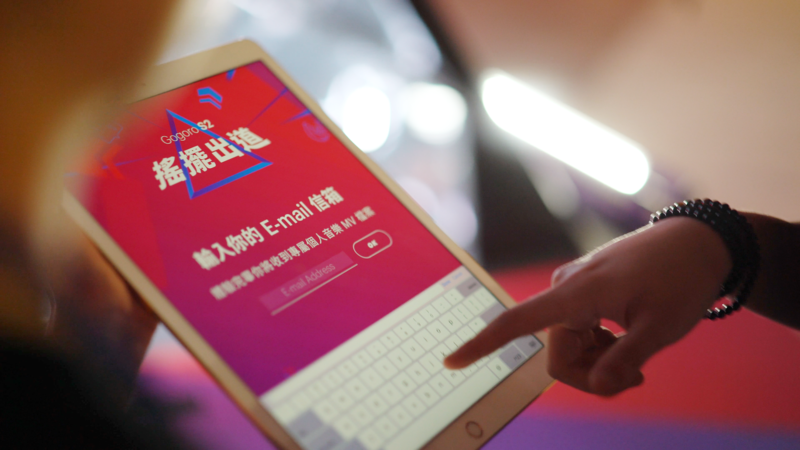 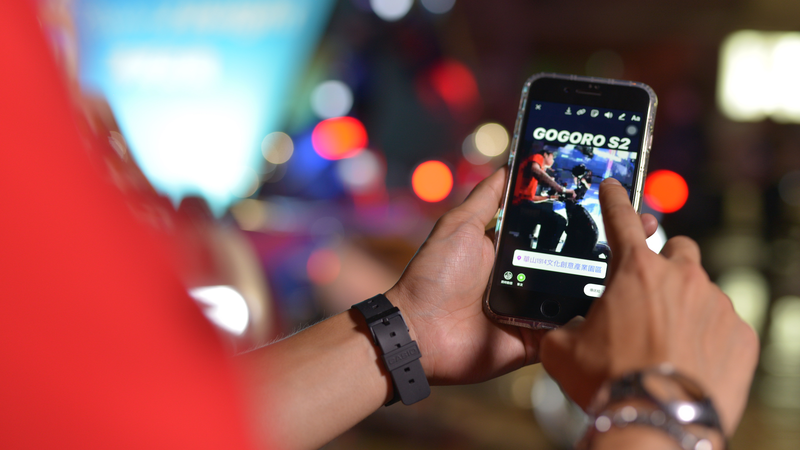 After the experience, people will receive an Instagram-friendly music video of their ride by email. 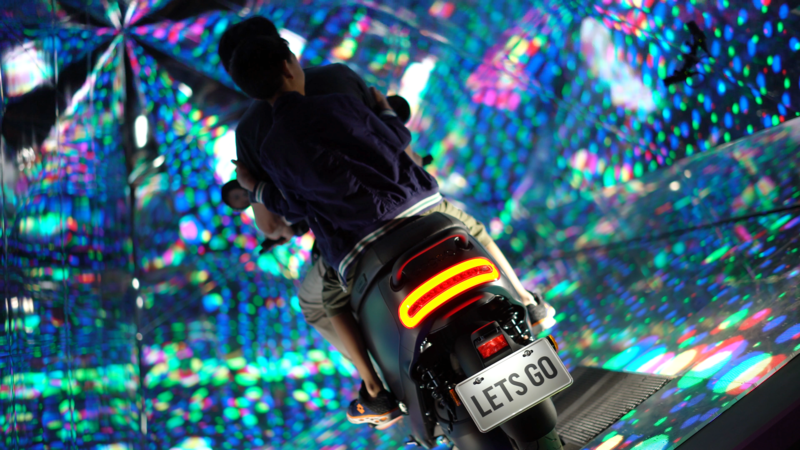 The kaleidoscope tunnel was exhibited at Taipei, Taichung, and Kaohsiung for two months in 2018.